Thunderkick have joined the 4,096 ways to win band-wagon that first rolled out with WMS’ Raging Rhino in 2014. 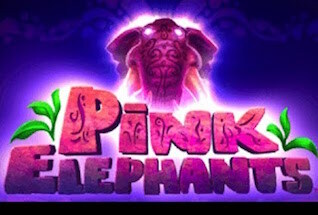 Pink Elephants Slot games, including Jurassic Giants and Buffalo Blitz, are renowned for high volatility and massive payouts if you can hit the Free Spins rounds. 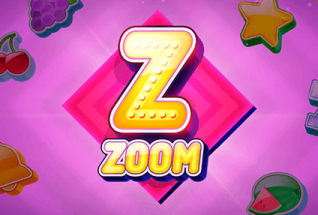 This game is immediately recognisable as a Thunderkick slot – featuring beautiful graphics, some slightly odd-looking unspecified furry creatures, and opting for a name more usually associated with psychedelics than high-volatility online slot games. The magic of 4,096 ways to win slots is of course in the 6 reels and 4 rows set up, where any 2 identical symbols on adjacent reels can trigger a win. Combinations must start from the far left on reel 1. The Pink Elephants RTP is 96.1%, higher than your average Thunderkick game. There are further treats in the bonus rounds as glowing orbs that land on the reels fill meters to the left of the screen. When a meter is full you move up a level and a low paying symbol transforms itself into the highest-paying one (the pink elephant itself) for the remainder of the round. You can win up to 8,200x your stake with one spin. Play now for free or for real on desktop, mobile or tablet at one or our recommended casinos. 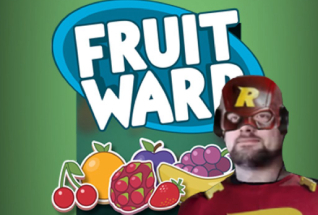 Or read on for our full review of this game. Pink Elephants is set in a kind of desert-scape. The basic symbols are the cards 9 through to Ace. There are also some furry creatures and the pink elephant itself (the highest paying symbol – 100x your stake for 6 in a row). The peanut is the scatter symbol, and the fluorescent green peanut is the mystery scatter which can also trigger the bonus round. There is a ‘W’ for Wild symbol too. Like all Thunderkick games the stake range here is from 10p to £100 per spin. You can adjust this in the settings. There are also some really cool sounds that can be switched on or off depending on your preference. The key to big wins here is in the free spins round, triggered by three or more scatters. 3, 4, 5 or 6 scatters gets you 7, 11, 15 or 19 free spins respectively. Now, look out for the elephants with their glowing orbs! 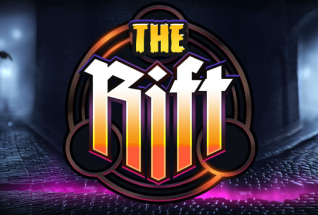 When these pitch in the free spins round the orb will fill a space on a meter to the left of the screen. There are four meters in all. When you fill each one you get an extra spin and the relevant symbol will change to the high paying pink elephant for the rest of the round. You can also earn extra spins by hitting more scatters during the bonus round. 2, 3, 4, 5 and 6 scatters in one spin gets you 3, 5, 7, 9 or 11 extra free spins. 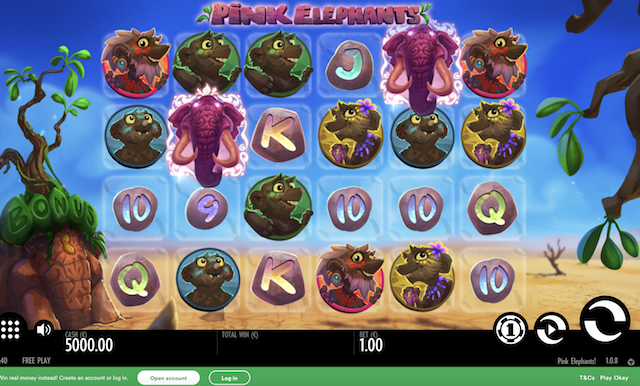 The game is to turn all four lower value symbols into pink elephants (using the orbs) and to notch up more free spins with extra scatters. Then hope things land right for you! There are some really strong similarities here between Pink Elephants and the original 4,096 ways to win game, Raging Rhino by WMS. The Free Spins round is very similar. Fair play to Thunderkick though, they have added their own twist with the Pink Elephants theme and the glowing orbs. All in, be prepared to wait a while before you hit the bonus rounds, but if you’re game and you’ve got the patience, you can be rewarded with some big wins in the end!